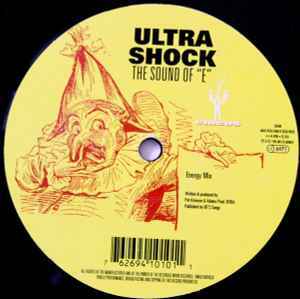 Ultra Shock ‎– The Sound Of "E"
Spot on for Circus with this "The Sound Of E" release. The 'Energy Mix' stands for an excellent gimmick driven pounding hardtrance track. The gimmick consists out of a cut up vocal sample of "The Sound Of C" by The Confetti's (hence the title: "The Sound Of E") acompanied with the zillion times sampled "ecstacy" shout. Pretty cheap and corny indeed but it all adds to the effect, which makes up quite a lot. Dancefloor mayhem guaranteed. The 'Trance Mix' follows a complete other scheme: no in your face slammin' energy bursts nor vocals but a slowly unwinding atmospheric story which has to be told and preciously treasured. Value for money.